The following are detailed specifications about the Casual LED Flushmount Light White Downlight Gen I by Kichler Lighting. Casual white LED indoor ceiling light with plastic shade. Includes an integrated LED module that runs off of 11-watts, 600 lumens, 3000K color temperature that is equivalent to 40-watt incandescent. Suitable for installation in dry, damp, and wet locations. 120 volts line voltage. CSA / UL certified. 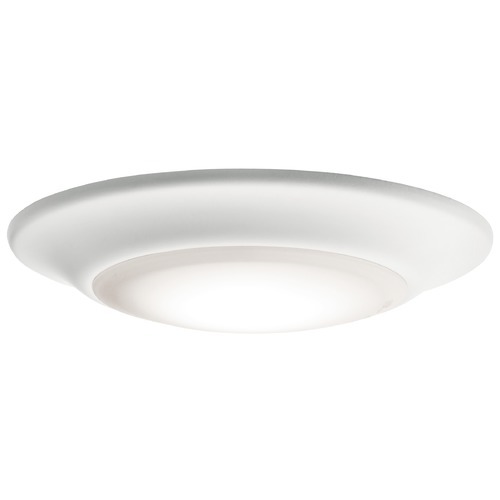 This Casual LED Flushmount Light White Downlight Gen I by Kichler Lighting is part of the Downlight Gen I Collection from Kichler Lighting. The following items are also part of the Downlight Gen I Collection.